Act Like A Spy, Find Your Dream Job, Nail The Interview| Master These Social Media Tips - Construction Recruiters, Inc.
Posted August 30th, 2017 filed under Candidates, Interviews. Share the post "Act Like A Spy, Find Your Dream Job, Nail The Interview| Master These Social Media Tips"
We all know social media can get you fired, but social media can also get you hired. Here are some social media tips to get you started. 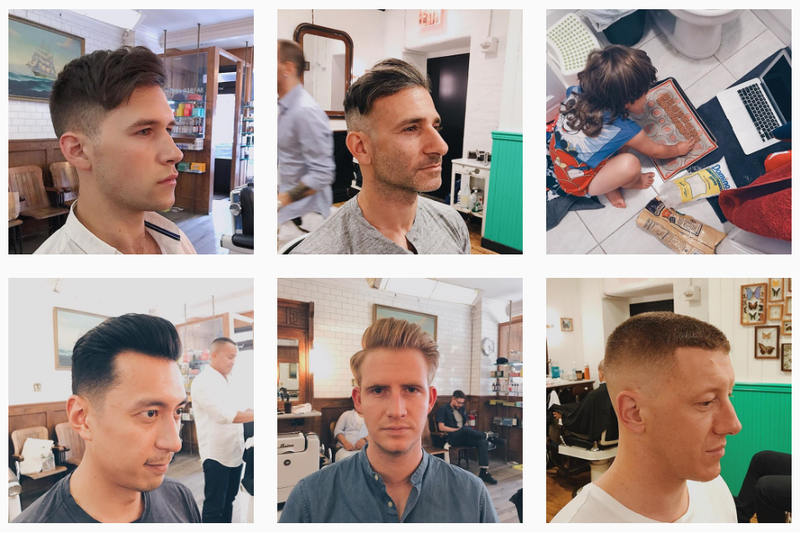 How he got hired: Walker’s Instagram feed is a virtual journal of people he’s met and hair he’s cut. He followed Fellow Barber and noticed they were hiring, so he left them a comment about how he’d always wanted to work there. Her she got hired: How do you convince an employer to hire you in a mere 6 seconds? Dawn Siff knows. She used the social media app Vine to make her own version of a video resume. A little networking and that Vine video was all it took to convince the Economist Group that Dawn was the right candidate for the job. Originally, Dawn filmed the video to challenge herself. Fortunately, her unique idea resulted in a new job, and a great success story to come with it. Siff took to Tumblr, not Vine, to explain that though the Vine resume impressed her potential employers, she found her job through good old-fashioned networking. Finding amazing construction jobs and landing them is that easy. Promise. Well, maybe not THAT easy. But, a little can go a long way to help you plan your next move toward career bliss. As you explore construction jobs on the market (or off), social media can help you nail down the right fit for you. Use these social media tips to get the dirt and make a lasting impression on your next potential employer. Some review websites like Glassdoor are designed specifically to help job seekers. You can get in-depth insight regarding interview questions and the pros and cons of working for a specific construction company. However, many companies know this. They’ll monitor these sites and look to influence activity. The information may still be valid, but be sure to use more than one source, including consumer-facing review websites. Also, check out profiles on construction job recruiting websites for a look at culture. Does anyone respond to customers? If so, how? What type of language is used in reviews? Even if they are good reviews, is the language, fun, upbeat and personal? Or, is the language cut and dry? What is within your comfort zone? BBB | LoPilato Construction Corp.
Don’t just look at what a company is posting, ask them questions. Follow them and share their content. If a company doesn’t have social media (or a website), that alone speaks volumes about their culture. For any organization, there may be several active voices on social media. Focus your energy on building a single relationship with a single person. Look for a voice who is active and engaged with their audience. Do company or employee posts and responses match values stated on their website? Do employees appear to be attending professional development opportunities? Social gatherings? If it’s unclear, ask. What are they sharing from other sources? Is it industry specific? Political? Just for fun? Are they responsive to your engagements (DMs, comments, tweets, etc…)? How does each thing make you feel? Excited? Comfortable? Indifferent? Annoyed? Pay attention to those feelings, even if they seem unrelated to the job. and consider what value you may be able to offer to the discussion. You may even be able to land a warm intro or referral. However, beware of individuals working for construction companies with big referral payouts. They might be talking up the company to make a buck. Now, you’ve got your intel. You’ve narrowed down your prospects to those that suit your preferences. It’s time to take everything you’ve learned to make a good impression. Be the next social media construction job search success story! Maybe you’ll make it on to Buzzfeed.